LIFE ON MARS - OXYGEN-PRODUCING ALGAE SEEN BY VIKING 1? While not as convincing as is the case for higher than advertised Martian air pressure, there are reasons to question the accepted oxygen content of Martian air. Updated on 3/5/2015 and again on 10/24/2018 with the findings in the Abstract by Vlada Stamenković et al. below. What folllows is what I primarily published on 3/5/2015. Updates based on new findings about oxygen dissolved in water will be shown with blue fonts. We now know that Mars has enough oxygen in brines near the surface to support primative life up through the level of sponges. The Abstract for the new finding by Vlada Stamenković, Lewis M. Ward, Michael Mischna and Woodward W. Fischer in Nature Geoscience follows Figures 1 and 2. Figure 1 above shows green patches on rocks at the Viking 1 landing site on its Sol 1. If something like algae or lichens, the patches may manufacture oxygen. On the bottom left of Figure 1 are green spheres that may be photosynthetic life. Figure 1 also shows 2 related Torah Code matrices. Figure 2 below shows results from Mars MAVEN. Note the oxygen band around Mars. Due to the scarcity of O2 in the modern Martian atmosphere, Mars has been assumed to be incapable of producing environments with sufficiently large concentrations of O2 to support aerobic respiration. Here, we present a thermodynamic framework for the solubility of O2 in brines under Martian near-surface conditions. We find that modern Mars can support liquid environments with dissolved O2 values ranging from ~2.5 × 10−6 mol m−3 to 2 mol m−3 across the planet, with particularly high concentrations in polar regions because of lower temperatures at higher latitudes promoting O2 entry into brines. General circulation model simulations show that O2 concentrations in near-surface environments vary both spatially and with time—the latter associated with secular changes in obliquity, or axial tilt. Even at the limits of the uncertainties, our findings suggest that there can be nearsurface environments on Mars with sufficient O2 available for aerobic microbes to breathe. Our findings may help to explain the formation of highly oxidized phases in Martian rocks observed with Mars rovers, and imply that opportunities for aerobic life may exist on modern Mars and on other planetary bodies with sources of O2 independent of photosynthesis. In 2015 I wrote that it has long been accepted that oxygen is a rare gas in the current Martian atmosphere. Table 1 shows accepted values for molecular weights and percent of gases found on Mars. But there is reason to question the percent values. While the thrust of my MarsCorrect.Com web site is to challenge accepted Martian weather, and in particular atmospheric pressure, this article briefly discusses two related Torah Code matrices, introduces two new research partners, and then presents a debate about why accepted atmospheric composition might be wrong. The debate hinges largely around initial color images of Mars taken in 1976 by Viking 1 (see Figure 1 - upper left corner, and Figure 6). On Viking 1 Sol 1 NASA Administrator Dr. James Fletcher ordered color monitors at JPL to be manually tuned to make a blue sky look red. Eventually, 36 years later, with Mars Science Laboratory, we learned that the Martian sky is indeed blue. The color distortion wiped out apparent green patches on at least one rock. If the true color was green, and if the rock held photosynthetic life-like algae, there is reason to believe that the composition of Martian air has far more oxygen than accepted values. Note: Vlada Stamenković et al. made their calculations based on oxygen from the Martian atmosphere. We contend that possible photosynthetic organisms like that blocked out by Fletcher and possibly seen as green spheres on Mars Science Laboratory on its sols 1185, 1189, 1555, 1571 and 1799 may be the source for oxygen dissolved in water on Mars. See the bottom life side of Figure 1 above to view the spheres. STATISTICAL AND POLIICAL SIGNIFICANCE OF THE MATRICES AND OF THE TRUTH ABOUT THE MARTIAN ATMOSPHERE. As per my standard protocol, no statistical significance is assigned to the axis terms on Figure 1, both MARTIAN LIFE at the lowest and second lowest skips in wrapped Torah. On the top matrix the odds against finding ALGAE at any ELS in a 70-letter box with MARTIAN LIFE at its lowest skip were about 64.5 to 1. On the second matrix the odds against finding FLETCHER at a special case skip (+/- 1 or the absolute skip of MARTIAN LIFE) at were about 53 to 1. But this issue will not be solved through Torah Codes. Rather, it will be solved by a serious scientific study of the Martian weather and atmospheric composition data out there and layed out in great detail on my site and my son's web site. I am certain that my son and I have proven that our Government is putting out wrong data about Martian air pressure. The average pressure, they say, is about 6.1 millimars at areoid which the Martian equivalent of sea level. That compares with 1,013.25 mbar on Earth. The Stamenković et al. (2018) article uses 6.1 millibar figure as the basis of its calculations but it states that, "Other aerobic environments with intermediate O2 solubilities of ~10−4–10−3 mol m−3 can occur today closer to the equator in areas of lower topography, such as Hellas, Arabia Terra, Amazonis Planitia and Tempe Terra, with larger mean surface pressures." My son and I think the pressure at areoid is about 511 mbar, and more like 700 mbar or more where our landers have touched down (well below areoid). At the lowest place on Mars we think that pressure is actually higher than what we feel at sea level here on Earth. In the words of Hillary Clinton, "At this point, what difference does it make?" She made her statement in reference to dead Americans (our Ambassador to Libya and three other Americans that her personal incompetence helped kill). Isn't Mars dead too? Well, if that was something alive and photosynthetic that Viking 1 saw before Dr. Fletcher began a 36-year cover up (fraud) about Mars sky color, then it becomes fair game to revisit all the millions of reports about UFOs. I will return to this issue at the conclusion of this article, but for now let's focus on the science. But first let me say a few words about my new partners. NOTE ABOUT DAN AND TOM: Since 2008 my son, David, and I have worked together to learn what the true atmospheric pressure is on Mars. We have both been guest speakers on this topic at International Mars Society conventions in 2010 and 2011. In 2015 two highly knowledgeable people offered to help our research and join our Mars Correct Team. Dan is an engineer. He suggested we should try to get an additional pressure sensor made by STMicroelectronics with a range of 260 to 1,260 millibars onto an upcoming Mars lander. His recommended sensor is found at http://www.st.com/web/en/press/p3628d. Dan says this transducer is compact, dust-free and water resistant and has a fairly good operating temperature range (-40° C to 85° C)...and it is already being used in the automotive industry. Note: Dan had some second thoughts about the pressure sensor he recommended. They are included here for the record. I suggested to him some ways to overcome the problems. TOM has a PhD in physics. We discussed problems with the dust filters on pressure sensors sent to Mars. If you're not interested in this section skip it. It's included here only for NASA types who want to fix the sensors used on future missions. Barry, something else came to mind as I was reading through the specs and implementation of the Pressure Sensor. After I sold my engineering company, I spent the next 12 years in the filtration industry. I was involved in all aspects of filtration...liquid mediums, gaseous mediums, HEPA, ULPA, etc. The HEPA filter the Pressure Sensor used to inhibit contamination of the interior of the sensor assembly…is apparently single-stage. It does not pre-filter utilizing a multi-stage filtering system. This means that ALL particulate sizes impinge upon the HEPA filter regardless of their size. HEPA filters are designed to catch particles that are typically 0.3 to 0.5 micron in size. In air applications, 3-stage filtering is used in all manufacturing plants and hospitals where you need relatively clean operations. The 1st stage starts with an inexpensive, low-efficiency pre-filter (25 - 30% efficient). Then, the 2nd stage follows up with a 95% efficient filter. After catching most of the larger particles in the first two stages, the 3rd and final stage ends with a HEPA filter to clean up the remaining fine particles. A typical HEPA filter is 99.97% efficient down to 0.3 micron. The point of filtering in that manner is to extend the life of the HEPA filter, which is considerably more expensive than the filters in the 1st and 2nd stages. So…without any pre-filtering, a HEPA filter (especially a very tiny one) would clog very quickly. I don't know what the dust size distribution on Mars is, but I would be willing to bet that it has a fairly populous range above 5 micron in size...which would kill a HEPA filter in short order. Also, if this particular filter is not a depth-style filter (meaning pleated through its depth to increase the surface area) it wouldn't stand a chance in Mars' dusty environment. For example, if it is just a single membrane HEPA filter blocking a narrow tube then you only have a surface area equal to the cross section of the tube to filter through. That might work in a laboratory clean-room...but not on Mars...especially when you consider, as you have, the debris kicked up by the landing sequence. That all sounds swell...except isn't Carbon Dioxide what we are all fearful of here on good ol' planet Earth? Why do we fear it? Because we have been told by the scientific community that it is a powerful GREENHOUSE gas. It is supposed to create global WARMING...right? In fact, we have LAWS in place worldwide to control CO2 emissions...right? These laws have been put in place to THWART global warming. So they must be pretty sure that CO2 is a substantial warming agent. And yet the temperatures of Mars are being reported in ranges that are not indicative of a globally warm environment. How can that be? NASA et al. will tell you that it is not warm on Mars, like it should be from having an atmosphere that is completely dominated by CO2, because it has a "tenuous", near-vacuum atmosphere...and of course they back it up with the pressure data being reported from their "flawlessly" designed systems. However, what if their pressure data is wrong? What if we are being misled? What if the atmospheric pressure were actually 75% that of the Earth's, for example? How then would they explain the temperature data they have been reporting? It seems as though that would be quite difficult to explain away. It seems like we have a good deal of conflicting data. So is it the pressure data that is wrong, the temperature data...the atmospheric composition...or maybe all of them? Let's address the question of the atmospheric composition since I find that the most interesting. So, could it really be the atmospheric composition that is wrong? Well, we are told that Mars is the "red planet." Why is that? It is explained by those "in the know" that it is because of the oxidized iron dust layer covering the entire planet. OK fine. So we have a bunch of rusted iron dust...so what? Well iron can only rust in the presence of...Oxygen...and, most commonly, moisture laden air or liquid water. So the atmosphere definitely had Oxygen (and probably significant water) at some point. So why doesn't it still? We will be told that there is little to no Oxygen in the atmosphere because it was all chemically absorbed by the Iron. So their contention seems to be that there was more Iron to bind to than free Oxygen molecules...and they again point to the pressure data to back that up. The data indicates that the total atmosphere (including CO2 and Nitrogen) is practically nill. So it isn't hard for them to convince anyone that what little Oxygen there was simply vanished into the surface dust. But, if the pressures are higher than they have been reporting...MUCH, MUCH higher. Then maybe the CO2 and Oxygen levels aren't really what they have been reporting either. Because if we have an atmosphere on Mars with a measured pressure that is 75% of Earth's (100% if you take into account the effect of the lesser gravity of Mars), and an atmosphere that is comprised of 95% CO2, then Mars should be SCORCHING hot. Shouldn't it? If it turns out that Mars really isn't an inferno, then maybe the CO2 levels are MUCH lower than we are being told...and maybe the Oxygen levels (and perhaps some other gases) are MUCH higher. So where is all of this going... Well, humans can actually function with effective Oxygen levels well below 10%...on Earth at least. I say "effective" because, although the percentage of Oxygen in the air doesn't change with altitude, the "quantity" of Oxygen does. And the "effective" level of Oxygen at the summit of Mt Everest is about 7.5%. In other words, if you wanted to train for climbing Mt Everest and your training center was at sea level, you would have to breathe air that was 7.5% oxygen. And humans can probably be trained to function normally with an even lower percentage. So it obviously doesn't take much Oxygen to "breathe" life...into life. And perhaps that, as I am sure you and your constituents already suspect, is the "dirty little secret" that compels NASA to falsify all of its data. Figure 3 shows images taken in the Martian Antarctic (about 80 degrees South). The images taken by the Mars Global Surveyor look something like large banyan trees, but the image taken by a superior camera on Mars Reconnaissance Orbiter may support a geologic process not seen on Earth. With respect to the geology, it has long been apparent to us that the ancient oceans of Mars almost certainly supported photosynthetic life. The very color of the planet, red, and the cause of that color, iron oxide, are almost enough to draw a firm conclusion. We were in Utah on August 7, 1996 when President Clinton made his announcement about a possible fossil found in a meteorite from Mars (ALH 84001). Putting aside the issue of whether or not the rock was a true fossil, as we looked outside our hotel room we noticed that most of the rocks there were red - due to iron oxide just as is the case on Mars. Why is there so much iron oxide in the rocks of Utah? Ancient seas there contained cyanobacteria. When it produced an abundance of oxygen, that oxygen reacted with iron in rocks to form the iron oxide (which is basically rust). Oxygen is a highly reactive gas that is not likely to form on its own (without photosynthesis) in an atmosphere in uncombined state. So it took life on Earth to color Utah red, and the same is likely true of Mars - so much so that the theory of panspermia often has life evolving first on Mars, and then being transferred to Earth via meteorites. The only issue here is what happened to the oxygen, and is it still there with over 0.13% of the atmosphere in a form uncombined with iron, hydrogen, or water? Mars MAVEN showed a layer of oxygen at altitude (see Figure 2 above) - supposedly from broken water or CO2 molecules. I think it's possible that the oxygen is still there, but it needs lots of greenery to replenish what combined with iron. It would help to prove the disinformation if we had had spectroscopic studies that were done before NASA went big time into disinformation. At Wiki I see "When astronomers mistakenly thought they had detected the spectroscopic signature of water in the Martian atmosphere, the idea of life on Mars became popularized among the public." Well, actually we recently found up to 100 times more water vapor in the air there than expected; and 2 pints of water in every cubic foot of Martian soil. That will certainly help form rust even today. See http://davidaroffman.com/photo4_32.html. In 1934, Adams and American astronomer Theodore Dunham, Jr. found that the amount of oxygen in the atmosphere of Mars was less than one percent of the amount over a comparable area on Earth. I think we can safely say that Mars once had diatomic oxygen in abundance. But we will have to terraform the planet to bring it back UNLESS Tom is right about trees on Mars (see Figure 3 above) or unless the green stuff seen on rocks (Figure 1 above) at the Viking 1 landing is photosyntheic life. NASA Administrator Dr. James Fletcher ordered the monitors at JPL to show red rather than blue sky. When he issued his order it may have been with the deliberate purpose of hiding life seen. Whatever his purpose, MSL showed that he was clearly wrong about the sky color. There is also a small, but non-zero chance that our government is currently (secretly) terraforming Mars. Maybe that explains the mysterious 155-miles high plumes seen on Mars that I'm writing up now at http://davidaroffman.com/photo2_22.html. UPDATE OF OCTOBER 24, 2018: I have just published an article about possible volcanic eruptions or venting at Arsia Mons, Olympus Mons and Alba Patera on Mars. See IS NASA HIDING VOLCANIC ACTIVITY ON MARS? IF SO, WHY? The article also refers to possible terraforming there. Plumes have been seen rising from the same spot on the southwestern side of Arsia Mons in 2009, 2012, possibly 2015, and 2018. These eruptions might be only water vapor (steam) but the plumes have been seen extending out to 2,000 km long and they always follow the same heading - about 280 degrees True (slightly north of west). However a close-up of Arsia Mons shows a darkened surface on Arsia Mons in the area of the plume origins. NASA has tried to tie these plumes to orographic clouds often seen on these mountains when moist air is forced up, but the plumes seen are on the wrong side of Arsia Mons for NASA to be right. Further, images put out by NASA do not match images put out by the European Space Agency. In fact, our European partner, Marco de Marco, who first brought these images to my attention, believes that NASA has painted over images by MARCI (Mars Colors Imager) on the Mars Reconnaissance Orbiter (MRO) to make them look like orographic clouds. The NASA images do not at all match images from the Mars Webcam on the ESA Mars Express. You can make the comparison for yourself. See Figure 4 below. Figure 4 - The ESA Mars Express shows plumes, but at best NASA's MRO only shows an orographic cloud - or a paint over of what is at Arsia Mons. Figure 5 - Areas of the American west look a lot like Mars because of an abundance of iron oxide. The issue on Mars is whether anything alive and photosynthetic is making new oxygen to replace what was lost to oxidation. Thanks for the reply. I understand that we don't have incontrovertible proof that the atmospheric pressure of Mars is 700+ mb. However, we do have considerable "smoking gun" evidence that strongly suggests that the atmospheric pressure is substantially higher than what is being reported. I guess I am just trying to prepare us with a preemptive awareness of the REAL implications of 700+ mb coupled with an atmosphere that is supposedly composed of 95% CO2. Those two things combined almost guarantee extraordinarily high surface temperatures. Either that, or Carbon Dioxide doesn't really dominate the atmosphere. Think about this...the scientific community of Earth is totally freaked about atmospheric CO2 levels on the Earth even though it is only 0.04%...and on Mars we are talking about 95%! If the atmospheric pressures are anywhere near what you think they are...this is enormously significant. In any case, have you, your son or Tom speculated on what the REAL temperatures on Mars are? So the mean distance of Mars from the sun is 2.1 times further than for Venus. In terms of sunlight per square meter or any other unit, using an inverse square relationship, this means that the heat or light energy received at Mars would be only (0.723/1.524)2 =0.225 = 22.5%. The mean distance of Mars from the sun is 1.524 times further than for Earth. In terms of sunlight per square meter etc. this means that the heat or light energy received at Mars would be only (1.000/1.524)2 = 0.43055 = 43.055%. The CO2 might be an issue here. If that was you at http://davidaroffman.com/custom3_26.html looking at Fahrenheit temperatures on our site today, you noticed that almost all days at MSL from late winter until the first day of summer had ground temperature highs above freezing although the air temperature highs were more often below freezing (but likely warmer than a lot of days in Indianapolis or Tom's Michigan). 2. As you know, Mars is a desert world (but with a lot of water just under the surface). On Earth in deserts temperatures can fall by 40 Celsius from day to night. I think it's safe to assume that the denser the atmosphere the more likely it is to retain heat, but I am offering an estimate of 511 mbar at areoid compared to 1,013.25 mb on Earth at sea level. So if the density of air there is only half that of Earth, then I would expect it to lose more heat on Mars than a desert on Earth. In the link I just referred to above, there is a column with air temp range in Celsius divided by 40 Celsius. Where there is data in aqua, the ratio is less than 1.5. More often it's up around 1.7 or 1.8, but the landers were not at areoid. Phoenix was 4.126 km below areoid and MSL is 4.4 km is below areoid. By scale heights if I'm right about the 511 mbar figure, pressure would be over 700 mbar at the landers. BUT the atmospheric pressure at the surface of Venus is about 92 times that of the Earth, similar to the pressure found 910 meters below the surface of the ocean.So in terms of what the CO2 would do to temperature on Mars, I think it's not fair to compare it with Venus. HOWEVER, I think that the low temperatures offered by NASA may be way too low. In Fahrenheit terms, the first link above shows a variation at night from as cold as -112 degrees F to as "warm"as -76 degrees F (revised) or -77.8 degrees, a difference of up to 36 degrees. This seems like too much variation if air density and pressure is as low as NASA claims. If you want to see how pressure and temperature varied at Phoenix, I have 2 days of data that Tom got us at http://davidaroffman.com/Day%201%20to%202.pdf. I'm still playing the with the times. Time 0.000 is not midnight local time, but 13 hours 19 minutes 57 seconds local Mars time (early afternoon). The file is 1,653 pages long with data every 2 seconds. Figure 6. The top photo is a lake at Vastitas Borealis in the Martian Arctic that is clearly water ice. This may melt, but it has never been seen in the liquid state. The bottom photo taken in the Martian Antarctic looks like a lake, but the surface of it is likely frozen carbon dioxide. DAN'S RESPONSE ON FEBRUARY 23, 2015. Regarding Mars' distance from the Sun impacting its atmospheric temperature...I definitely agree with you in regards to your assessment outlined below as to how much sunlight REACHES Mars. However, the amount of sunlight ARRIVING at Mars only represents a "potential" energy source. The reflectivity (or albedo) of the planet is what dictates how much of that energy is retained. Mars has an average albedo of 0.15, meaning that it absorbs 85% of the sunlight it receives and reflects 15% back into space. Venus has an average albedo of 0.65, meaning that it only absorbs 35% of the sunlight it receives. So even though Mars only receives 22.5% of the sunlight that Venus does, it actually absorbs 22.5% X (85% / 35%) = 54% of the amount of sunlight that Venus' does. Also, since Earth has an average albedo of 0.37, Mars (at 0.15 albedo) actually absorbs 43.055% X (85%/63%) = 58% of what the Earth absorbs. Including the effects of albedo in the calculations took it from 22.5% up to 54%. So the difference between Mars and Venus, in terms of absorption of sunlight, isn't as much as it initially seems. Composition of Venus' atmosphere vs. Mars'...I don't know about anyone else, but I find it suspicious that the atmospheres of Venus and Mars are reportedly nearly identical (see below)...not just in CO2 composition but in Nitrogen as well. That seems like an extraordinarily unlikely coincidence. So I don't believe that the composition of Mars' atmosphere is being honestly reported to us. In fact, I have an intuitive feeling that Mars' has significant levels of Oxygen in its atmosphere and it is being purposefully withheld. I say that because I have seen Arthur C Clarke's "banyan tree" images and dozens of other images containing vast expanses of what closely resembles vegetation. If it is vegetation, then that vegetation likely feeds on sunlight through photosynthesis...which typically produces molecular Oxygen. As I mentioned in my previous email, it doesn't take much Oxygen to sustain life. UPDATE OF OCTOBER 24, 2018: Your statement here is confirmed by the new findings about enough oxygen dissolved in water on Mars to support life. Dan continues: If the atmospheric pressure and temperatures are being misreported as well, then there might actually be liquid water on the surface of Mars. UPDATE OF OCTOBER 24, 2018: This statement was also confirmed soon after you wrote me. We have indeed found water flowing at recurring slope lineae on Mars. See Running Water Found at Many Places on Mars. Dan concludes: In fact, I have seen images that to me look exactly like lakes of water. And I think most would agree that the positive identification of atmospheric Oxygen and liquid water on Mars would make it a MUCH more interesting place to study. I thought more about the oxygen content issue today and I'm close to changing my mind. You and Tom both mention the tree and lakes (see Figure 6 above). I gave two UNLESS terms about accepting the high oxygen content yesterday, but it dawned on me today that the one about what looked like lichens seen on the landing day might be more germane. What caused Dr. Fletcher (shown on Figure 7 below) to order the color distortion on the monitors at JPL when Viking 1 landed? The rock with the green on it is shown on the attachment (Figure 1 above). This is the first time I've seen it. The picture is found in an important article by Gil Levin at http://gillevin.com/Mars/Reprint87-color-files/colorReprint87.htm. As the article points out, the color imaging of the camera was not that good, but what if it was life something like lichens or algae that was seen on Viking 1's Sol 1? Here the next question would be, How likely is it that life would be rare on Mars, but Viking 1 would be lucky enough to find it on its first sol? Obviously, not likely at all. WHICH MEANS that there may be primitive photosynthetic life all over the planet. This implies that there is a mechanism to replenish the oxygen. It makes it easier accept the possibility of trees too, because during night photosynthetic plants breathe in more oxygen than they breathe out. Your other points, especially about albedo, are excellent. UPDATE OF OCTOBER 24, 2018: Stamenković et al. do not discuss areas with potential plant life on Mars, but they do speculate about how much of Mars could support aerobic life including primitive animal life. They state, “Mars today, ~6.5% of the total Martian surface area could support far higher dissolved O2 concentrations—enabling aerobic oases at dissolved O2 concentrations higher than 2 × 10−3 mol m−3, sufficient to sustain the respiration demands of more complex multicellular organisms such as sponges. Such aerobic oases are common today at latitudes poleward of about 67.5° and about − 72.5°. Figure 7 - The Face of Disinformation: NASA Administrator Dr. James Fletcher (left) is the villain in this story. He ordered the alteration of sky color (and rock colors) after Viking 1 displayed a blue sky and green on rocks. AN INITIAL DISCUSSION WITH TOM ABOUT POSSIBLE TREES ON MARS. Tom initially contacted me about images that looked like trees on Mars on MGS photo E0700860 shown on Figure 8 below. At that time I asked him to look at the objects assigned red numbers and letters. The number corresponds to a suspect tree (1, 2, 3 and 4). The letter S after each number corresponds to what might be a shadow. Objects 1 and 2 look like almost the same size, but the "shadow" for 1 looks a good bit longer than for 2. Object 3 is a lot smaller than object 1, but its "shadow" is about the same size. Object 4 is bigger than 3, but its shadow is comparable or smaller. What does this mean? I wrote that the shadow lengths should be in the same ratio as the object sizes if they are shadows. However, what we may be seeing here are dust remains that generally point in the same direction due to the prevailing winds. Also, each "tree" rather resembles a flame, with a bright area up top and to the right. These bright areas might also be due to to dust. How can both be true, that the dust appears light and dark? If the wind scoops the dust out of a depression, it would catch the sun's rays more when lifted (thus appearing light) and then the dust would appear dark when it reaches the ground again. This is where color becomes important. We lose a lot in black and white. Tom wrote, "the shadow belonging to what you've labeled object 3, actually contains a smaller object which is extending the shadow. Another factor that can affect the length of the shadow is local topography, or small hills, which can make a shadow longer or shorter depending. Over all, I'd say the shadows seem proportional to the height of the objects." 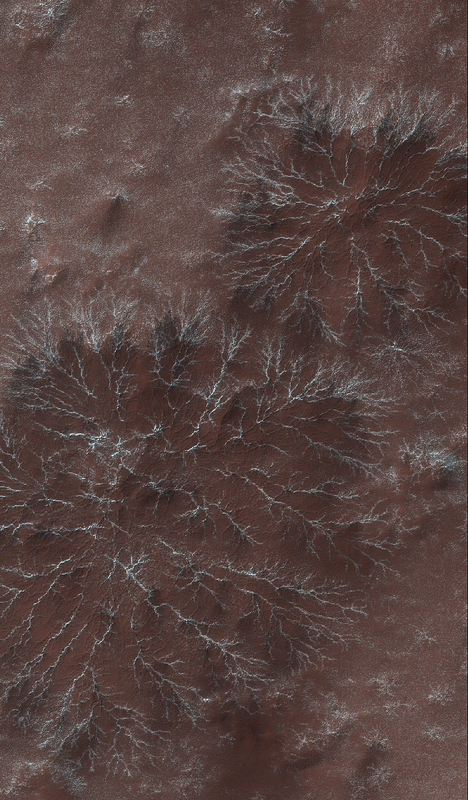 Figure 8 - Possible trees on Mars. A discussion about what geologic process could cause the banyan tree-like images (starburst channels) seen on Figure 3 is here. Candy Hansen wrote that translucent carbon dioxide ice covers the polar regions of Mars seasonally. It is warmed and sublimates (evaporates) from below, and escaping gas carves numerous channel morphologies. In this example the channels form a "starburst" pattern, radiating out into feathery extensions. The center of the pattern is being buried with dust and new darker dust fans ring the outer edges. This may be an example of an expanding morphology, where new channels are formed as the older ones fill and are no longer efficiently channeling the subliming gas out. THE BOTTOM LINE. A standard scientific approach to answer questions about Martian sky and rock color seen in 1976 requires an analysis of how colors were transmitted and interpreted. Dr. Gil Levin and Dr. Patricia Ann Straat provide that in their article entitled Color and Feature Changes at Mars Viking Landing Site. However, it is obvious from looking at the sky color pictures taken from the Mars Science Laboratory Curiosity Rover that we have been given the wrong color of the Martian sky for 36 years. The initial decision to manually alter sky color (possibly based on rock color) was made by NASA Administrator James Fletcher. That we were provided with incorrect sky colors through both Viking landers, Mars Pathfinder, the Mars Expedition Rovers Spirit and Opportunity plus the Phoenix likely means that there was an ongoing policy of disinformation by NASA/JPL. This means that great care must be taken before accepting as untainted any NASA data relating to Mars. However, this does not mean that all wild speculation is confirmed. With respect to oxygen, the existence of favorable spectrographic studies of oxygen before government-directed disinformation began would be expected, but unless such studies have been censored, the only study that I was able to find (from 1934) concluded that the amount of oxygen in the atmosphere of Mars was less than one percent of the amount over a comparable area on Earth (Adams, Walter S.; Dunham, Theodore, Jr. (April 1934). "The B band of oxygen in the spectrum of Mars". Astrophysical Journal 79: 308. Bibcode:1934ApJ....79..308A. doi:10.1086/143538). The exact color/shade of green shown on the rocks at Viking 1 is debatable due to limited abilities of the camera system used on Viking 1. There was no chemical analysis of the rocks in question, nor was the Viking 1 a mobile lander that could drive up to and drill into the rocks in question. We need trustworthy people on Mars at the scene to examine the rocks in question. The tree-like objects seen have alternate geological explanations. Again, we need trustworthy people on Mars at the scene. Figure 7 above shows Dr. Fletcher was a key villain in this investigation. With him is President Nixon. Nixon cancelled Apollo missions 18, 19 and 20 (http://news.discovery.com/space/history-of-space/apollos-after-17-121220.htm). President Nixon was also a villain. Figure 7 shows that Fletcher helped give him what he needed to keep our astronauts in low earth orbit after Apollo 17. On January 29, 2015 I delivered a presentation to about 33 people in the condominium where I live in Cape Canaveral, Florida. Many who were present work at our space center. At the beginning of my presentation I told my audience that I had an hour to cover 57 slides in my PowerPoint. No question is stupid, and all questions were welcome if they could be answered quickly. But some questions required long answers, with related stories. For such questions I suggested that they see me at the pool when I was not under a time constraint. While I don't discuss UFOs on marscorrect.com (or on my son's site), I do elsewhere on this site. If our Government gave us the truth about Mars then we would have more reason to trust them, or at least more reason to suggest that their errors were honest mistakes. But beyond the issue of sky color, I have documented far too much deliberate disinformation and I have received enough threats against my own safely to conclude that that NASA's mistakes are innocent. In the end I believe that there is a link between disinformation about Mars and disinformation about UFOs. More, I believe that the Government is not likely to release the truth until the time that anyone who committed a criminal act in conjunction with the cover up, and most specifically the funding associated with it, is dead. Figure 7 shows Nixon with Fletcher. Nixon was a close friend of a famous TV comedian, Jacky Gleason. Nixon had a home in Key Biscayne, Florida. Gleason's TV show was out of Miami Beach. There have been many tabloid stories about Nixon sneaking out his Florida home and personally driving Gleason to Homestead Air Force Base where he allegedly showed Gleason bodies recovered from an alien craft. You can find one version this story here. While I don't accept everything he claims, I discuss an acquaintance (Clark McClelland) who supposedly heard the same story from Gleason. Clark got canned (over UFO issues) with zero retirement after working at the Kennedy Space Center for 34 years. He survives by selling chapters from his on-line book about UFOs. Clark charges $3.99 for his chapter about Nixon and Gleason. It’s available here, however be warned that (from my memory) there isn't much difference from Tim Beckley' s version of the story. What also may have played on Nixon's mind is an often reported story that UFOs shut down our ICBM s at Malmstrom Air Force Base on March 16, 1967. FoxNews.com coverage of that incident is here. On this topic see my matrix about Bob Salas here. ABSTRACT: We present evidence that NASA is seriously understating Martian air pressure. Our 9-year study critiques 2,165 Sols (6+ terrestrial years, 3.23 Martian years, and a full Global Dust Storm at MSL) of highly problematic MSL Rover Environmental Monitoring Station (REMS) weather data, and offers an in depth audit of over 8,311 hourly Viking 1 and 2 weather reports. We discuss analysis of technical papers, NASA documents, and personal interviews of transducer designers. We troubleshoot pressures based on radio occultation/spectroscopy, and the previously accepted small pressure ranges that could be measured by Viking 1 and 2 (18 mbar), Pathfinder and Phoenix (12 mbar), and MSL (11.5 mbar - altered to 14 mbar in 2017). For MSL there were several pressures published from August 30 to September 5, 2012 that were from 737 mbar to 747 mbar – two orders of magnitude high – only to be retracted. We challenged many pressures and NASA revised them down, however 9 years into this audit it has come to our attention that of two pressure sensors ordered by NASA for Mars Pathfinder, one of them (Tavis Dash No. 1) could in fact measure up to 1,034 mbar. Further, for the MSL according to an Abstract to the American Geophysical Union for the Fall 2012 meeting, The Finnish Meteorological Institute (FMI) states of their MSL (and Phoenix) Vaisala transducers, “The pressure device measurement range is 0 – 1025 hPa in temperature range of -45°C – 55°C, but its calibration is optimized for the Martian pressure range of 4 – 12 hPa..” So while we originally thought that of the five landers on Mars that had meteorological suites, none of them could measure Earth-like pressures, in fact, if the higher pressure sensor Pathfinder Tavis Dash 1 (0-15 PSIA/1,034 mbar) was sent rather than Tavis Dash 2 (0-0.174 PSIA/12 mbar), three landers were actually equipped to get the job done, but the public was largely kept in the dark about it. All 19 low uv values were removed when we asked about them, although they eventually restored 12 of them. REMS always-sunny opacity reports were contradicted by Mars Reconnaissance Orbiter photos. Why REMS Team data was so wrong is a matter of speculation, but we clearly demonstrate that their weather data was regularly revised after they studied critiques in working versions of this report and on our website at http://davidaroffman.com. REMS even labelled all dust storm weather as sunny, although they did list the UV values as all low. Vikings and MSL showed consistent timing of daily pressure spikes which we link to how gas pressure in a sealed container would vary with Absolute temperature, to heating by radioisotope thermoelectric generators (RTGs), and to dust clots at air access tubes and dust filters. Pathfinder, Phoenix and MSL wind measurement failed. Phoenix and MSL pressure transducer design problems included confusion about dust filter location, and lack of information about nearby heat sources due to International Traffic and Arms Regulations (ITAR). NASA Ames could not replicate dust devils at 10 mbar. Rapidly filled MER Spirit tracks required wind speeds of 80 mph at the assumed low pressures. These winds were never recorded on Mars. Nor could NASA explain drifting Barchan sand dunes. Based on the above and dust devils on Arsia Mons to altitudes of 17 km above areoid (Martian equivalent of sea level), spiral storms with 10 km eye-walls above Arsia Mons and similar storms above Olympus Mons (over 21 km high), dust storm opacity at MER Opportunity blacking out the sun, snow that descends 1 to 2 km in only 5 or 10 minutes, excessive aero braking, liquid water running on the surface in numerous locations at Recurring Slope Lineae (RSL) and stratus clouds 13 km above areoid, we argue for an average pressure at areoid of ~511 mbar rather than the accepted 6.1 mbar. This pressure grows to 1,050 mbar in the Hellas Basin.